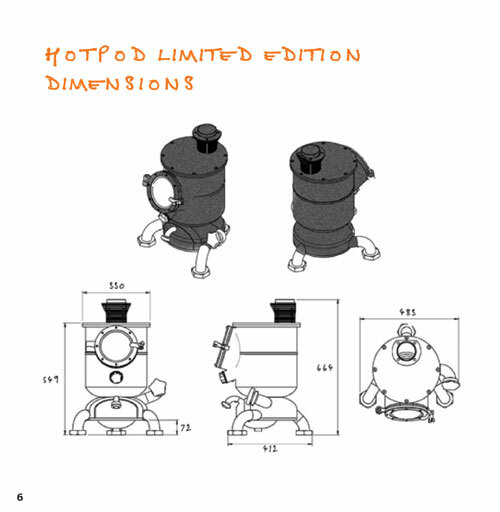 We say the ‘original’ but that’s not entirely true as the original one was never called a Hotpod. It heats our home in Carbis Bay. The Hotpod name didn’t come about til Dan had made 7 copies all out of scrap and realised that we could perhaps turn it into a business. We were originally only going to make 100 numbered Hotpods but decided to up the number one optimistic evening which was a good idea it turns out as Dan has now made about 150 of them. There will definitely be no more than 350 and we don’t imagine there will ever be that many. The original ‘Prepods’ as we now call them, were made from old gas bottles pulled from hedges, scrap from the dairy which closed down about a mile from the workshop and of course retired Volkswagen parts. 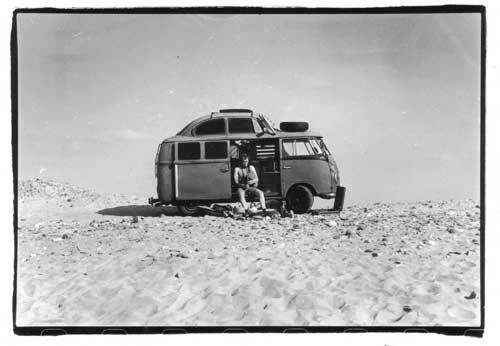 The design originally came about because Dan was trying to make a pot bellied stove for his surf bus out of things he had lying around. The requirements were that it should burn wood and coal and have a good sized hotplate for cooking. The breakthrough was cutting the top off the gas bottle and welding it back on underneath which made a funneling firebox with a small grate at the bottom, an ash pan underneath and a large flat hotplate.The van version was a failure in as much as it was just too much heat for a VW bus in Cornwall even in the winter. DEFRA exempt appliance for use in smoke control areas. diffused by infrared radiation from the main body and the window and by air convection from the stove body and any exposed flue pipe. Combustion occurs on the grate, with draught (oxygen) entry through the primary and secondary air vents. All local regulations, including those referring to national and European standards need to be complied with when installing the appliance.